Universal Pictures is bringing a free early screening of Blockers to Las Vegas as part of Spring Fling Screenings. The free screening of the R-rated comedy will be held Wednesday, April 4 at AMC Town Square 18 at 7:00 pm. 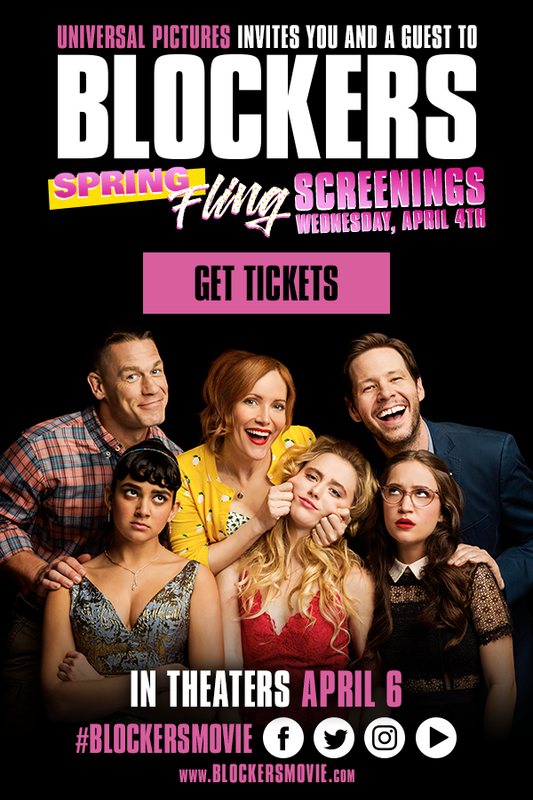 To claim your tickets while supplies last, visit BlockersSpringFling.com, select “Las Vegas, NV” or “Las Vegas — North Las Vegas, NV” from the drop down menu, select a date (04/04), select theater and time (AMC Town Square 18 — 7:00 pm) and sign up via Facebook, Twitter or email. It’s time to light it up! Get your FREE tickets to see #BlockersMovie early! Blockers opens Friday, April 6.
REVIEW — "Ready Player One"